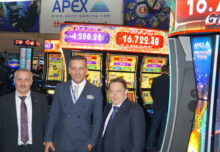 Zitro has obtained the manufacturer’s license that allows the company to supply French customers with its wide range of Bryke Video Bingo and Video Slots products. In addition to obtaining this license, Zitro has obtained approval for the Blackwave product line and has presented the homologation for the approval of the Fusion upright and slant cabinet. 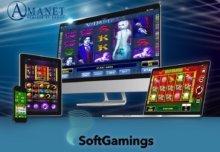 France is the largest gambling market in Western Europe with a fleet of more than 20,000 machines and the license that is granted by the ministry of interior is among the most demanding in the continent in terms of the levels of financial and moral solvency that must be met by the licensed suppling companies. Philippe Boulay, Managing Director of Mascot SFM added: “While Mascot’s interest in Zitro was initially motivated by its formidable Video Bingo machines, we are very surprised with the speed with which Zitro has been able to develop its extremely competitive line of Video Slots Bryke. Mascot now has an arsenal of Video Bingo and Video Slots games from Zitro that will surely please French operators and players.